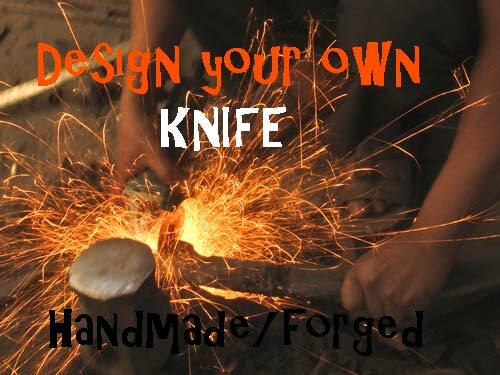 ChukuriMan is an ultra-modern knife specially built for professionals..
Own this and become the Chukuriman !! 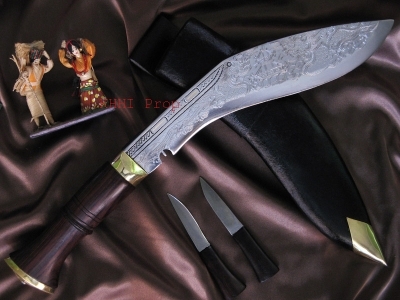 The design of the blade is the same as the Chukuri blade. 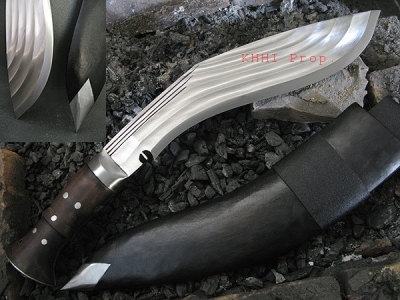 ‘Chukuri’ has the sharp edge at the head section reflects the character of a “Churi” and the front arch belly portion reflects the character of a “Kukri”. 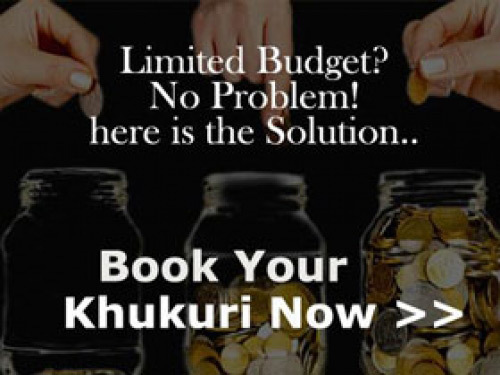 This is the more upgraded version of the Chukuri, its ultra modern and is specially built for professionals hence nicked 'ChukuriMan'. Blade: This blade is 10 inch in length which is 1 inch longer than the original Chukuri blade and has polished finishing. 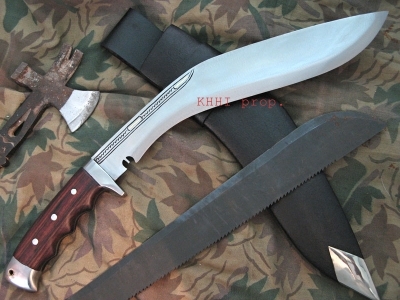 The design of the blade is same as the Chukuri blade where two of the most common knives used in Nepal, “Kukri” and “Churi”. 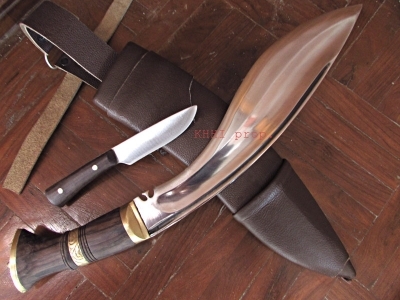 And hence named ‘Chukuri’ where the sharp edge at the head section reflects the character of a “Churi” and the front arch belly portion reflects the character of a “Kukri”. The twisted tip at the head portion is sharp and pointed for piercing and tearing apart through upward movement. A very suitable blade for both hacking and stabbing. Handle: With All the features of panawal handle where the handle pieces are glued with epoxy to the full flat tang and further 3 metal rivets are fitted together to strengthen the fixtures are the same. Again, the full flat metal tang can also be clearly seen as thick metal lines running through the two sides of the handle. 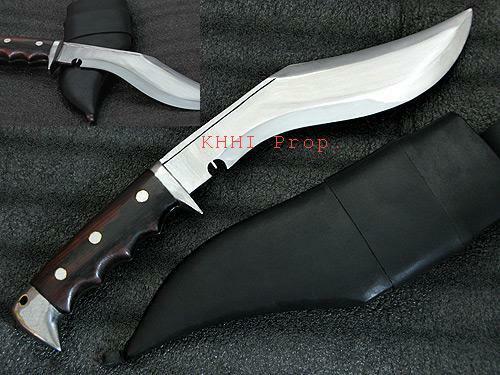 And the handle pieces are made of Dark Indian Rosewood to give an overall matching look and sturdiness for this kukri. The bottom of the handle is the copy of EAGLE HANDLE of Maximus. 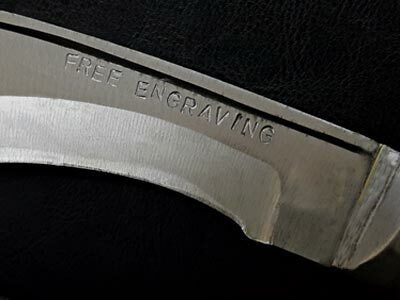 The end of the tang is covered with thick metal which is pointed to the edge-face of the blade to look like a beak of a bird and also features a lanyard hole which looks like the eye of a bird. When looked closely, this part of the handle looks like an American Eagle. 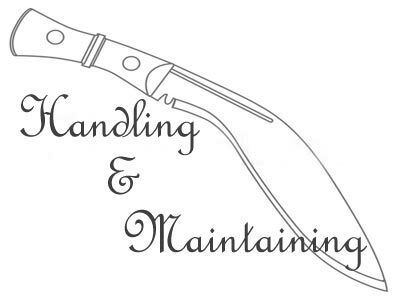 While the upper part of the handle has a guard which protect the hand from slipping into the blade and prevents unwanted cuts. 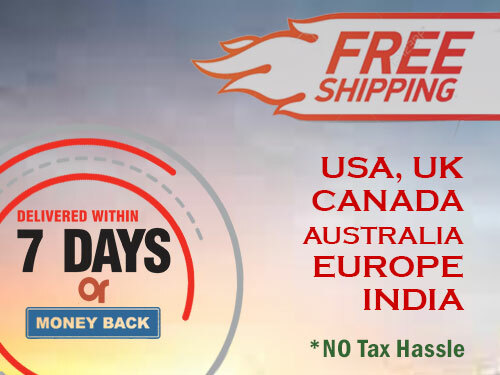 Similarly, the handle is shaped ergonomically for better grip and comfortable hold. 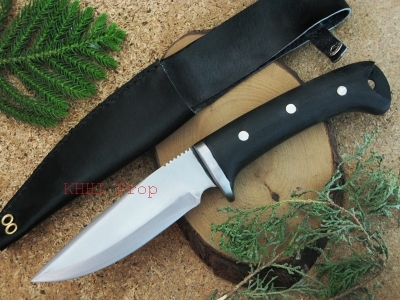 Scabbard: It has a normal black leather scabbard. 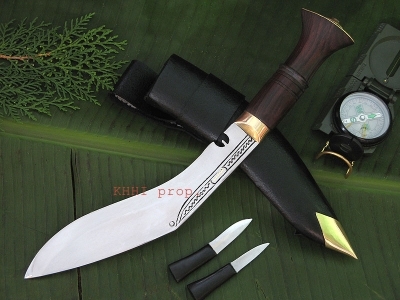 The interior has wooden pieces shaped like the blade to provide strength to the scabbard. Near the mouth, it has a black leather frog loop where belts go through such that scabbard can be carried around. It also features a small lanyard loop at the chape/tip for strings to go through and be tied around the thigh.